Home OPINION Six women presidents and their fall from the top: a curse of male-dominated politics? In recent political history, six of the most promising and high-profile female leaders have been victims of a military coup, parliamentary removals or assassination: Maria Estela Martinez de Peron of Argentina, South Korea’s Park Geun-hye, Dilma Rousseff of Brazil, Benazir Bhutto of Pakistan, Elena Ceaușescu of Romania, and India’s Indira Gandhi. Over the last 40 years, ten women have ruled Latin American countries, showing that gender barriers are falling, as competent women leaders emerge in the spotlight of political life—a world traditionally dominated by men. However deceiving this veneer of wholesale gender equality may be, there are still many battles to fight, such as discrimination and the equal pay gap that handsomely rewards men over their women peers with an equal skillset, training, and experience. Latin America and the world in general are making great strides in gender policy and women’s leadership in the international political arena. Take 2013, for example. Four Latin American nations were simultaneously led by women presidents: Argentina’s Cristina Fernandez, Costa Rican Laura Chinchilla, Brazilian Dilma Rouseff and Chilean Michelle Bachelet. According to a World Economic Forum study conducted 2014-2016, 56 (38%) of the 146 nations analyzed have had a head of government or a female head of state for at least a year in the last half century. However, the study points out that most of these women did not serve out their terms. Nevertheless, here we are today in 2017 with 16 women directing the destinies of their nations, namely: Theresa May of the United Kingdom, Beata Maria Szydlo of Poland, Erna Solberg of Norway, Bidhya Devi Bhandari of Nepal, Ameenah Gurib-Fakim of Mauritius, Hilda Heine of the Marshall Islands, Marie-Louise Coleiro Preca of Malta, Doris Leuthard of Switzerland, Dalia Grybauskaite of Lithuania, Ellen Johnson Sirleaf of Liberia, Angela Merkel of Germany, Kersti Kaljulaid of Estonia, Kolinda Grabar-Kitarovic of Croatia, Michelle Bachelet of Chile, Sahara Kuugongelwa-Amadhila of Namibia, and Sheikh Hasina of Bangladesh. Maria Estela Martínez de Perón, Argentina. The Argentine people deeply loved Evita Peron, who was the First Lady of General Juan Domingo Perón until her tragic death in 1952. Yet, it would be Isabelita who, two decades later, as the vice president of Argentina, would assume power in 1974 after the sudden death of her husband, the same General Perón, becoming the first woman ruler of the region. Isabelita’s overthrow was perpetrated two years later in 1976, when the military established a Military Junta that would govern until 1983. Park Geun-hye, South Korea. President Park was the first and only woman president of the Asian country from 2013-2017 until she was dismissed by the Korean Parliament, a decision backed by the Constitutional Court. Her dismissal came at the hands of corruption charges in March 2017 which led to her arrest two weeks later, formally charged with abuse of power, bribery, coercion and leaking government secrets. Park Geun-Hye came under scrutiny because of her association with collaborator Choi Soon-sil, who without holding public office exerted significant influence on Park’s government, only compared to that of the monk Rasputin on the reign of Tsar Nicholas II in Russia. Dilma Rousseff, Brazil. Before becoming President, Dilma was best known as a passionate opponent of Brazil’s military dictatorship from 1964-1985 who was imprisoned for three years in 1970 for being part of a guerrilla movement. In 2010, Dilma became the first woman president of Brazil, one of the largest economies in the world. She was allegedly involved in the “Lava Jato (carwash)” case, as well as poor management of the country’s economy, resulting in her parliamentary dismissal before finishing her second term in 2016. While there has yet to surface clear evidence of Dilma’s participation in these scandals, one thing is certain: many of the lawmakers who removed her from office profited from the same corruption scandal. Those same lawmakers recently voted to save President Michel Temer from a similar situation that Dilma had endured. Did the woman take the fall for the men, or is everyone just out for their own political survival? Indira Gandhi, India. Although not overthrown, she unexpectedly lost power and ended up in jail. In 1974, the Prime Minister entered her country in the so-called “Nuclear Club”, after nuclear tests were performed in the region of Rajasthan. Prime Minister Gandhi declared a State of Emergency in India and cancelled constitutional guarantees while restricting freedoms of the press. She thought this was the only way to combat corruption and support economic recovery. She summoned an election where she was defeated, losing her job and being expelled from the Congress Party and Parliament. The first woman to be prime minister of India was accused of abuse of power and ended up having a short stay in prison. However, like the phoenix, she would rise from the ashes to win the 1980 election and become prime minister again. Sadly, in 1984 she was killed by two of her trusty bodyguards, who belonged to the Sikh minority amidst a tense battle of ethnic politics in India. Benazir Bhutto, Pakistan. Benazir Bhutto became the first woman Prime Minister of the Muslim world when she led Pakistan’s government on two occasions. During her first rule from 1989-1990, she was replaced 20 months after assuming the position, based on accusations of corruption. Her second appointment as Prime Minister from 1993-1996 was cut short for the same reason. After which, she left the country only to return to Pakistan in 2007 as an opposition candidate for the upcoming Presidential elections. Sadly, Benazir Bhutto was assassinated just two weeks before the elections at the hands of extremist groups disturbed by seeing a woman in a leading position of power. Elena Ceaușescu, Romania. 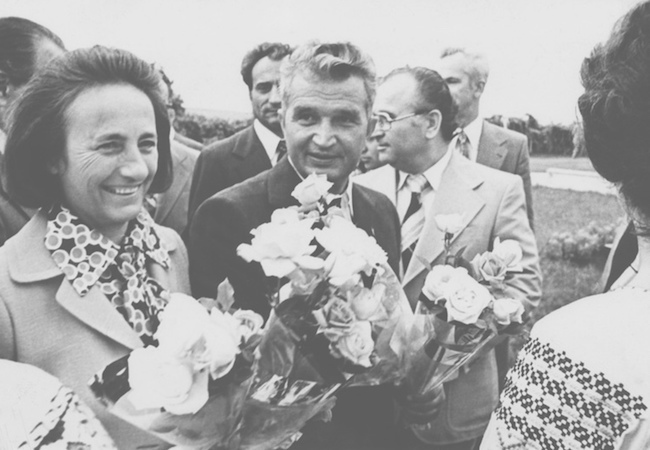 As the Romanian President’s wife and also the Deputy Prime Minister, Elena Ceaușescu acted as the shadow president behind the rule of her husband, Nicolae Ceaușescu. It was in 1980 when she became the Deputy Prime Minister of Romania, a position she held until 1989 when both she and her husband were held captive by the revolution that overthrew Communist Romania and summarily executed both Elena and Nicolae following a brief sham trial. While these women each had what it took to get to the top, they did not have the support they needed to stay there. Is there something inherently evil in a woman who yields the power of a nation that causes political detractors to find fault with their actions? In each case, there were forces acting against their respective mandates in power, cutting short the time democratically allotted to each leader. All politicians face similar challenges, but the struggles of these six women are notable. What policies could help bridge the gender equality gap in the political sphere? Although today many of the same barriers of the past continue, it will take more political to drive a noticeable paradigm shift toward a more inclusive world from top to bottom.